This "Perfectly Plain Collection" party favor consists of a full deck of playing cards that features a light silver-colored top with a distinctive geometric and curlicue design. 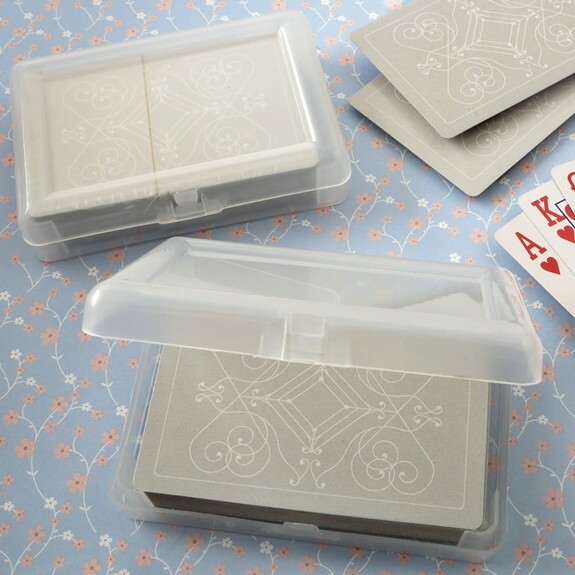 The deck of cards is packed in a molded plastic case that opens like a book to reveal the playing cards inside. Bulk packed in a poly bag.